Listen in as Johnnie speaks to Mary Padlak; a woman who has played a major role in his own recovery! She helped turn his life around by exposing some thoughts to him that he may not have otherwise discovered. Mary Padlak has an innate ability to use humor, love, and acceptance to bring people in touch with their greatness. 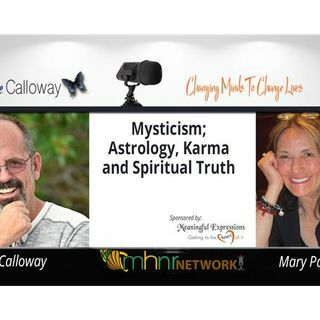 For the last 35 years Mary has traveled the world working diligently in the service of bringing others to higher levels of personal and spiritual awareness. As a pastoral ... See More counselor and ordained minister she uses many tools to facilitate this growth. Whether using psychodrama, gestalt and family of origin based work, addiction recovery, meditation, eye movement, hypnotherapy, astrology, and many yogic tools, the goal is always the same. Namely, to empower those with whom she works to find self love. In this place resides their greatness, from this place flows only love and selfless service.